hd00:11India - CIRCA 2013 - Static shot of the Taj Mahal and many people visiting. hd00:11AGRA, INDIA - 19 OCTOBER 2014: View of the Taj Mahal and the surrounding park area in Agra. 4k00:11AGRA, INDIA - 19 OCTOBER 2014: Overview of the Taj Mahal, one of the iconic buildings in India. 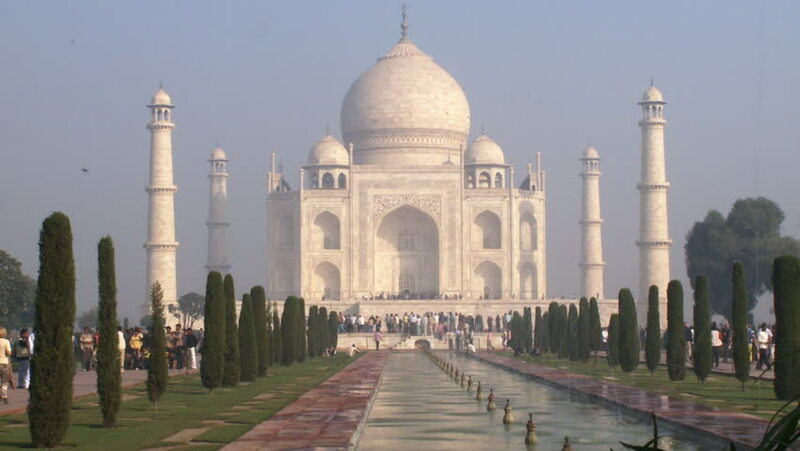 hd00:20 Agra, India February 14, 2015: Time Lapse of Taj mahal at Agra A UNESCO World Heritage Site, A monument of love, Greatest White marble tomb in India, Agra, Uttar Pradesh, shot on February 14, 2015.